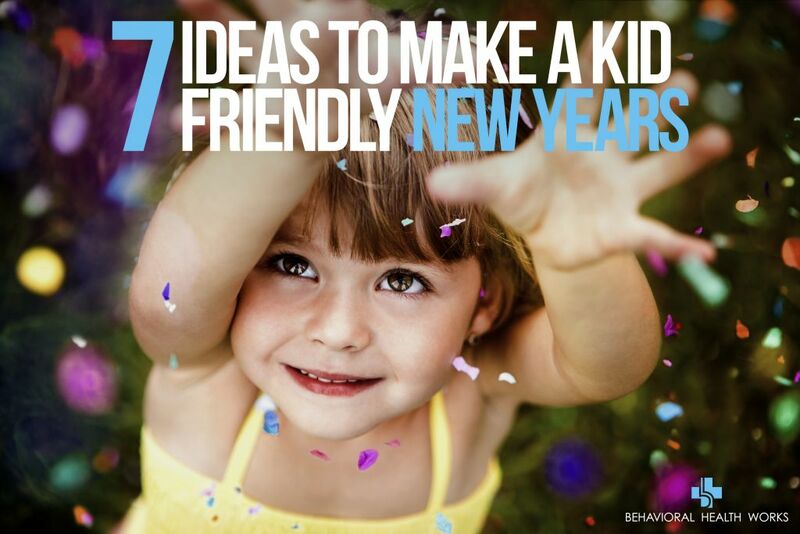 7 Ideas to help make your New Years a Kid Friendly Success! The New Year’s celebrations is just around the corner and BHW is here to help you and your little one start the year off right! Milk and Cookie “Mocktail” Toast: Just because your child can’t have a little bubbly doesn’t mean that they have to miss out on toasting to the new year! Create a milk and cookie mocktail for them to celebrate the beginning of a new year! Place a warm cookie on top of a flute of milk and your child will not only feel like a sophisticated grown up but will also enjoy their midnight treat! New Years Shakers: Horns, bells, and whistles can sometimes be a little overwhelming for your child. So this New Year’s Eve create a paper plate shaker with your child! Your child will have fun creating this musical instrument and will also have an amazing night shaking along to the rhythm of the night. Disco Ball Piñata: Just because you’re not in Times Square on New Year’s Eve doesn’t mean that you have to miss out on the ball drop! Create your own ball drop and smash it to shreds with a disco ball piñata! We can assure you that your child will definitely enjoy this ball drop even more than what’s in New York, especially if it is raining candy! Different Time: Line up some clocks on the wall and show your little one the different time zones of the world! Set each clock to a different time zone and demonstrate how each country celebrates the new year at a different time. For those parents who wish to celebrate New Years with their little one and still be in bed by 8pm this might be an ideal way to do this! Countdown Goodie Bags: Create excitement all throughout the night with these hourly goodie bags! Your little one will look forward to these goodie bags all night as they wait for midnight to strike! Make extra special goodie bags by placing items that will remind your child of all the memories they created in 2016! 2016 Memory Book: Bust out those markers and colored paper and go scrap booking! Help your child reminisce all the magnificent moments of 2016 by making a scrapbook together. The best part is that once you’re done with this project, your little one will have this book filled with memories! Create a Wishing Wall: Help your child fulfill their new year’s resolution with this activity. Create a wishing wall with a chalkboard and a few post-its and voila! A reminder of all your resolutions! Just remove them off the board as the year goes on so that you and your child can see the progress that they made throughout 2017!